WE-F ❤ NEW apartment in Prague for 5pers! Excellent value and very easy to deal with. This apartment is recently refurbished and very clean. 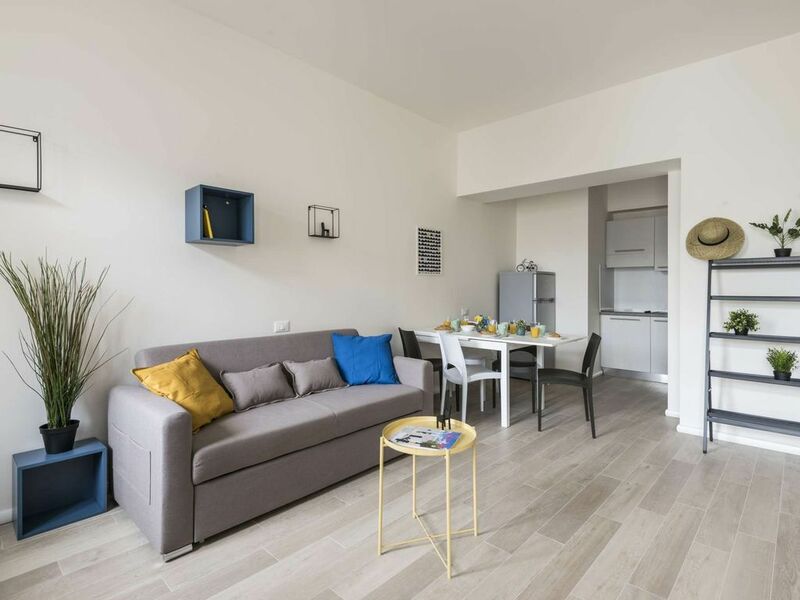 The owners have several apartments in the same building and so the photos may not necessarily relate to your actual apartment, but they are all very similarly furnished with similar layout. Furnishings were all in very good condition and the bathroom was excellent with plenty of towels, hot water and heating. Beds were really comfortable but we could have done with some extra pillows. Kitchen was well equipped but there is no microwave safe kitchenware. Arrival and departure arrangements were very straightforward and accommodating and the company is very easy to deal with. The apartment had a decent size balcony and was quiet. The apartments are a good walk from the historic town centre so that is something to bear in mind but taxis by Uber are super quick and very cheap. Prague itself is the golden capital of Bohemia and there is no shortage of things to do and see! Overall we thoroughly enjoyed our short stay and will definitely return. Very clean apartment. Easy to access using code and key system. The living room couch folds out to a comfy bed. About a 20 minute walk to old town. Fairly quiet street. Mini market is only about 5 min away. Zu Fuß,oder per Straßenbahn ist vom Wenzelsplatz,bis zur Karlsbrücke alles gut zu erreichen.